Our Round Corner Calendar Magnet is a by-product of iron oxide created during the steel making process. 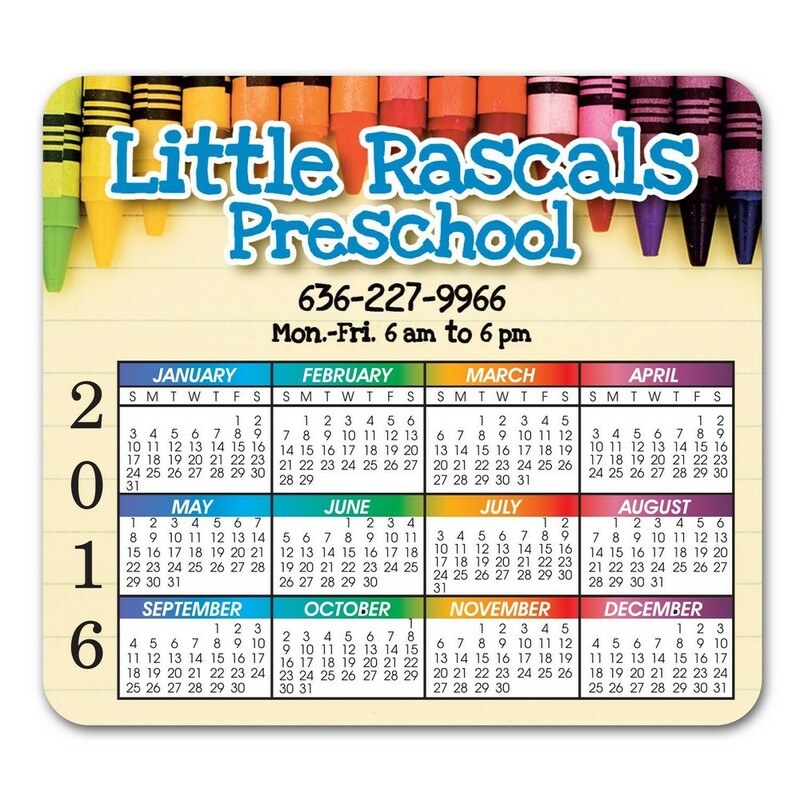 Dimensions: 3.88 " x 3.50 " x .01 "
Imprint area: 1 11/32" x 3 11/16"
The Round Corner Calendar Magnet is a versatile promotional product that any business can benefit from. This eco-friendly magnet is a by-product of iron oxide created during the steel making process, and therefore, recycled material. It features rounded corners for safety. Kindly specify the year when ordering these calendar magnets. They make ideal mailers to send to potential customers and loyal clients, as a way of saying thank you. Imprint your company’s logo and message on the magnet, and give it away to any business, organization, or fund raising event of your choice, for a cost effective way to get your brand noticed by the masses.